Aloe paddles, like cactus paddles, seem an intimidating kind of of plant for my kitchen. I have tried to conquer the cactus (in taco form) – but results were of the slimy mushy-mush variety. Preconceived notions aside, when a massive leaf of aloe showed up in my weekly CSA box…I was stumped. Then I immediately pushed it into the bottom depths of my refrigerator giving it the only potential of ending up in the trash once gone bad. Cruel, I know. Then the unexpected happened. As a fair-skinned redhead, I’ve been trained my entire life to be coated in a thick layer of SPF at all times. I don’t care if I’m not even leaving the house, getting out of the car, or even THINKING about getting hit by some rays – there is no option for me other than being 100% protected at all times. No seriously, my spirit animal is an albino kangaroo ready to be smoted by the faintest of beams. I’m fine with never knowing what a tan is. I am also fine never EVER attempting to alter my reality with a spray tan. AKA: the Oompa Loompa incident of 2004… I digress. 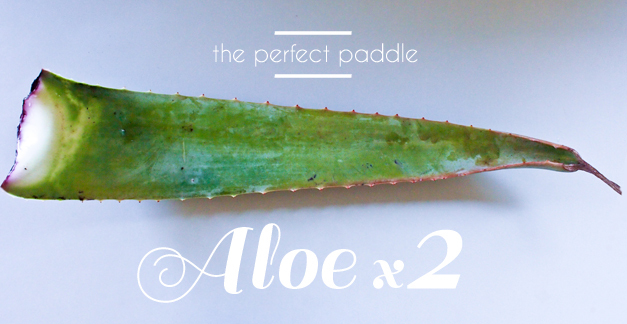 Needless to say – my aloe paddle came out of hiding and was put hard to work. Curious of it’s true potential outside of skin relief, I decided to also concoct a simple juice recipe that is both refreshing and boasting maximum-cleanse health benefits. 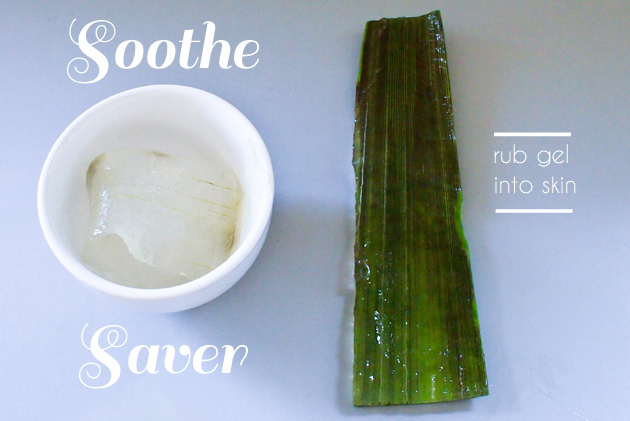 Without further adieu: I present you aloe remedies, two ways. Simple enough, no? Pshheeesh…Why was I so scared of this beauty. Beyond silly. Unlike store-bought aloe, I found the gel straight from the plant to be less sticky and absorb instantly without making your clothing clingy. I’ve been keeping a small bowl with one piece of aloe skin and a little piece of flesh near my bathroom skin and let me tell you, in the last two days my sunburn has healed quicker than any other I’ve had. Magical I tell you! Magical, Sweet Earthly Magic!! Now that our skin is satiated, why not revitalize our insides with some aloe-ale?? 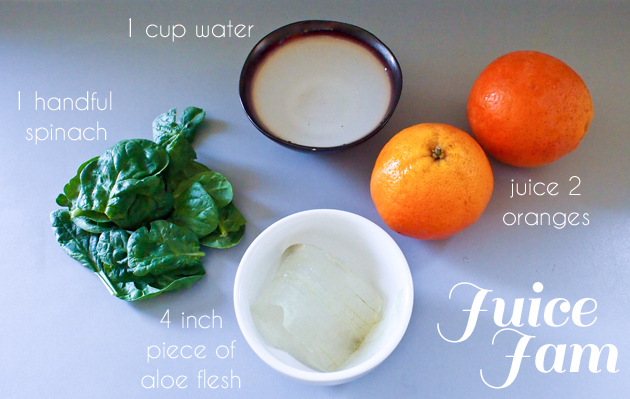 Set aside the left over flesh and blend up one healthy, easy & cleansing elixir. 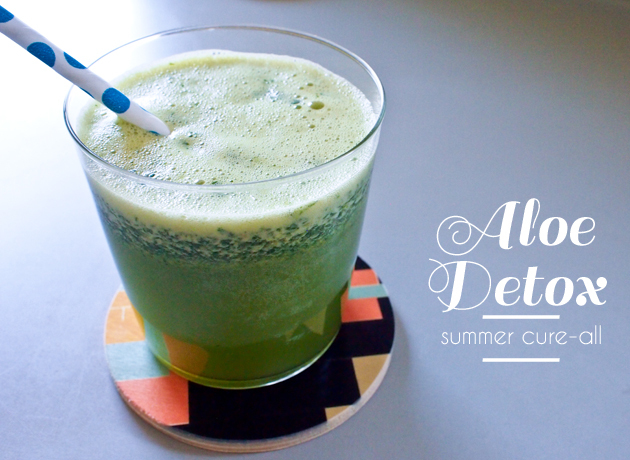 I know what you’re thinking – drinking aloe sounds right up there with drinking pool water. Trust me, despite my own hesitations, I was pleasantly surprised (delighted, actually) with how cooling and light this bevvy was upon first sip. Why don’t we explore it’s healing wonders together, I promise it will have you skipping down an imaginary taste-beach of invigorating proportions in five minutes or less. “Happy” straw optional, but most definitely encouraged. Please let me hand write/tweet/instagram my most sincerest apologies for any immediate and unfortunate presumption about you. 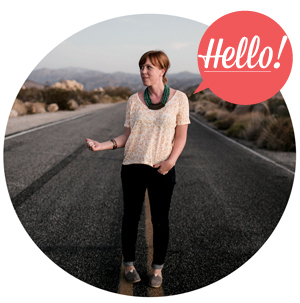 Sure, you might be a little rough around the edges at first, but you have healing proportions like none other. I thank you for taking such good care of me over the last few days and will never stuff you into the bottomless pit of my fridge’s crisper drawer ever again. P.S: Who knew you would juice up like a champ!? High fives! You are like a cool breeze… floral waft and one superb refreshment – feel free to come over and watch Restaurant Impossible or Game of Thrones anytime. I’m curious – how do you aloe-viate yourself? Very clever indeed. I really enjoyed your story. Next time I see aloe at the farmer’s market I will attempt to master that beast.